should be some very cosy islanders on Stornoway right now, the island-based company Point 1 has just installed its 100th boiler as part of a project working with Western Isles housing authority Tighean Innse Gall’s Taigh Blath initiative. The work was completed with the help of the Scottish Government Energy Assistance Package (EAP) which has been delivered through Scottish Gas. The EAP was launched to help improve the energy efficiency of Scottish householders homes and includes the installation of a new central heating system, a new boiler, draught proofing, cavity wall insulation, loft insulation, room thermostats and heating controls and insulation of tanks and pipes. 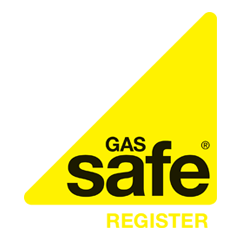 Both customers and Scottish Gas have praised the work for its quality of workmanship, its timely completion and the high quality after-service. “I’m as warm as a bee in a honeycomb now,” says Alex Murdo Campbell the man who has received the 100th boiler. “I think it’s perfect, a really wonderful scheme and it’s great to have local guys working on it. Western Isles MSP Alasdair Allan was particularly complimentary. “It’s great to see the difference new central heating makes to someone’s life. To have all the work done by people locally is also something that clearly people appreciate – not only the aspect of local employment but it means there also somewhere locally for people to go and get advice. “We pride ourselves on delivering high standards of workmanship” commented Terry Ovenstone, General Manager of Point 1 said the company was proud of their work, and always set out to deliver the highest standards of workmanship on every installation.